Archipreneur is the digital home for business innovation and creative strategies within the architecture industry. Industries are changing through technology. How will the future look for architects and the build environment? Should we be thinking about new methods or approaches to our environment? 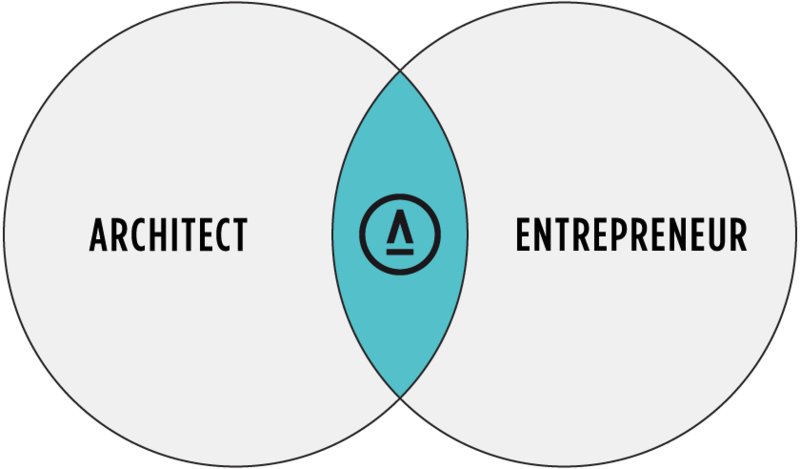 Archipreneur sits firmly at the intersection of architecture, technology and entrepreneurship to offer creative strategies and innovation for the AEC industry. Our mission is to empower our community by providing an online source with practical benchmarks, case studies, expert knowledge, real life inspiration, and the essential tools to envision and build design businesses AND the cities of our future. We provide ideas, articles, interviews and new approaches by featuring the brightest people, companies and projects in the AEC industry. We connect like-minded architects with city makers from around the world to share ideas, aggregate knowledge and solve problems. We develop educational products and case studies for the business of design, to fill knowledge gaps in architectural education. Berlin-based Archipreneur was founded in 2014 by architect Tobias Maescher, who wanted to create a publication that connects architecture with technology and creative entrepreneurship. Today, Archipreneur has bloomed to an international team of collaborators who are working to expand the Archipreneur movement and grow the platform. The Archipreneur Network is a private business and learning community. Our mission is to inspire, grow and connect like-minded people from the AEC industry through interdisciplinary knowledge exchange and collaboration.